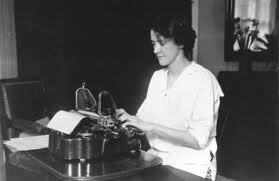 To most readers Susan Glaspell (1876-1948) is still known primarily as the author of Trifles, the frequently anthologized, classic feminist play about two women’s secret discovery of a wife’s murder of her husband, or the short-story “A Jury of Her Peers,” a re-writing of that piece. But Glaspell wrote over fifty short stories, nine novels, fourteen plays, and one biography. 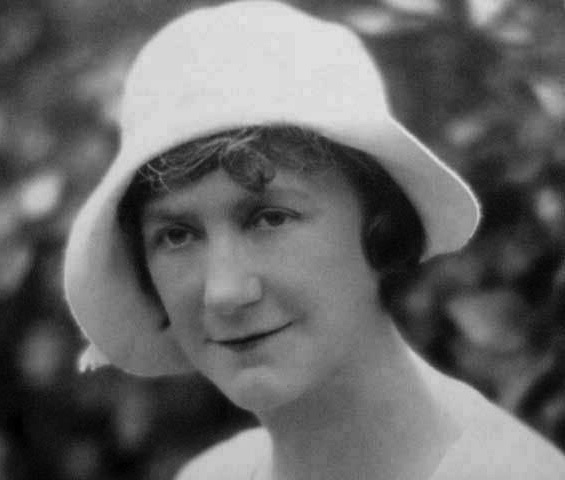 Many of her novels reached the best-seller lists, and one, Brook Evans (1928), was made into a movie. Her plays received better reviews than those of Eugene O’Neill, and in 1931 she was awarded the Pulitzer Prize for her play Alison’s House. Her novels were positively reviewed through the 1930s and her 1939 novel, The Morning is Near Us, was the Literary Guild Book of the Month choice for April 1940, selling more than 100,000 copies. But there is yet more: Glaspell was the co-founder with her husband George Cram Cook of the Provincetown Players (1916-1922), the Little Theatre that did most to promote American dramatists, and her diplomacy and energy held the group together for seven years. It was largely thanks to Glaspell’s intervention that O’Neill’s first plays were performed, and she played a major role in stimulating and encouraging his writing in the following years. Susan Glaspell had never liked to feel controlled or delimited; born in Davenport, Iowa, in 1876, she rebelled against society’s expectations and, rather than passively wait for a husband to appear, went to Drake University in Des Moines, graduating in June of 1899, and then worked as a reporter for the Des Moines Daily News. She gave up her newspaper job in 1901 and returned to Davenport in order to write; she had already published a number of short stories in Youth’s Companion, and was to see her stories accepted by more sophisticated magazines, such as Harpers, Leslie’s, The American and others. Her story “For Love of the Hills” received the Black Cat prize in 1904; her first novel, The Glory of the Conquered, would come out in 1909, followed by The Visioning in 1911. Back in her hometown, her status of published and respected author opened the doors of Davenport social and intellectual life and led to repeated meetings with George Cram Cook, whom she married in 1913. Cook was, by then, a twice-divorced father of two; he had given up a promising university career to try his hand at truck farming and socialism. 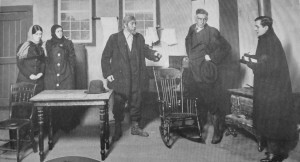 The scandal and gossip provoked by his second divorce was the impulse that Glaspell and Cook needed to move East; they settled in Greenwich Village where the rents were cheap, and where they found other free-thinking liberals and radicals in both politics and art: the ideal breeding-ground for their experiments in theatre. At Cook’s instigation Glaspell began writing plays, and she also published her third and most successful novel thus far, Fidelity, in 1915. With the support of Jack Reed and the still unacclaimed Eugene O’Neill, Glaspell and Cook founded the Provincetown Players in Provincetown, Cape Cod, at the end of the summer of 1916. This Little Theatre, which in the fall of that year moved to 133 MacDougal Street, New York, was dedicated to producing innovative plays by American playwrights and opposing the artistic compromises required by commercially successful theatre. But by 1922, once Eugene O’Neill’s The Emperor Jones had given some of the Provincetowners a taste for Broadway, Glaspell and Cook became so disappointed by the back-fighting and ambitious scheming that was dividing the Players, they decided to leave the theatre and go to Greece. Cook’s dream had always been to explore the sites of antiquity, and Glaspell was convinced that they needed time together, away from theatrical squabbles. They settled in Delphi, on the slopes of Mt. Parnassus, where they attempted to live the simple life of the shepherds, and became engrossed in an archaic lifestyle that fired Glaspell’s imagination and inspired what many consider to be her greatest novel, Fugitive’s Return (1929). Glaspell returned to the United States in 1924 after Cook’s death in Greece, and settled in Provincetown, where she wrote two of her best novels, Brook Evans (1928) and Fugitive’s Return. Brook Evans appeared first in England, where, in the bold yellow covers that distinguished Victor Gollancz’s imprint, it inaugurated his venture into independent publishing. In New York, Brook Evans reached second place on the Herald Tribune best-seller list, and the excellent sales led Paramount Pictures to film the novel, with screenplay by Zöe Akins, under the title The Right to Love. Fugitive’s Return, in which Glaspell captured the flavor of her Greek adventure, traces a woman’s growth from abject despair to independence and recognition of self; it ranked fourth on the best-seller charts, topped by Hemingway’s A Farewell to Arms. 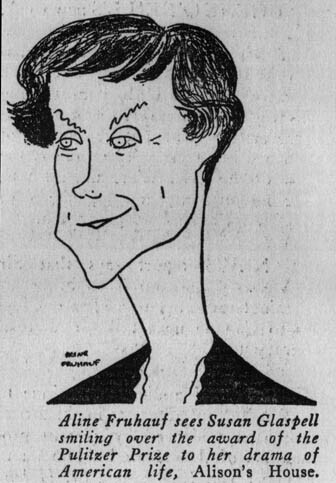 In 1931 Glaspell won the Pulitzer Prize for her play Alison’s House, performed by Eve La Gallienne’s repertory theatre. The Federal Theatre in Chicago gave Glaspell another opportunity to devote herself to American drama in the 1930s; as director of the Midwest Play Bureau she sought out Midwestern talent and, although her contribution is rarely recognized, was instrumental in the development of the Living Newspapers. 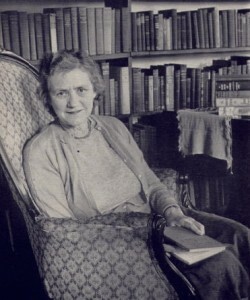 However, the red tape involved got the better of her and, resigning from her position with the Federal Theatre, she returned to spend her remaining years in Provincetown and gave all her energies to fiction, producing four more complex and interesting novels: Ambrose Holt and Family (1931). The Morning is Near Us (1939), Norma Ashe (1942), and Judd Rankin’s Daughter (1945). Glaspell’s oeuvre is unparalleled in American letters in its major achievements in three genres: drama, novel, and short story. Writing for the theatre made Glaspell more aware of innovations in structure and style, and her later novels benefited from her intense involvement in the development of the American drama. Glaspell’s plays and fiction portray feminist issues such as women’s struggle for expression in a patriarchal culture, the loving yet fraught relationships between daughters and mothers, and female friendship as an essential part of women’s growth toward autonomy and selfhood. Her plays, stories, and novels explore universal themes that continue to be vital and challenging to readers and scholars today: themes of American identity, individuality vs. social conformity, the idealism of youth, the compromises of marriage, the disillusionments and hopes of aging.